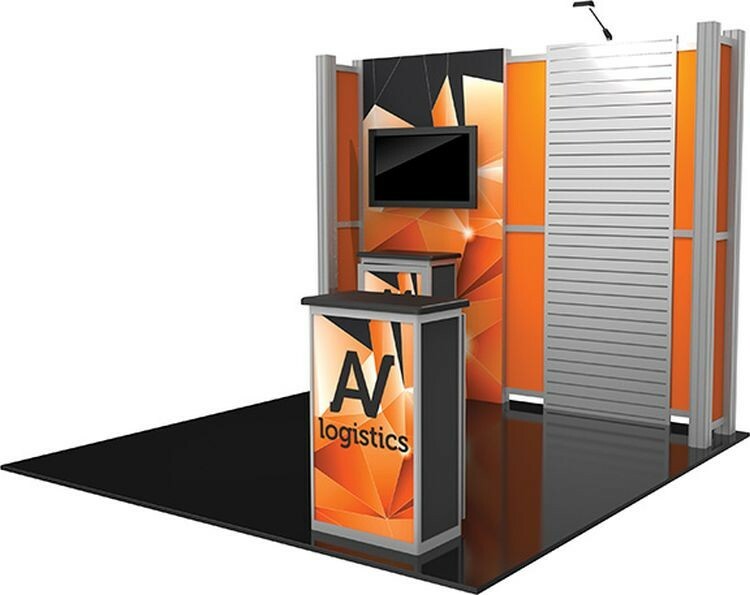 Hybrid Pro Modular Kit 08 is an ideal 10ft x 10ft inline display solution for the serious exhibitor. Kit 08 combines a heavy-duty aluminum extrusion frame, push-fit SEG fabric graphics and rigid Sintra graphic accents with a central slot wall panel for a contemporary and functional display. LED display lighting illuminates the backwall for increased visibility. Count on making an impact with Hybrid Pro Modular 10ft x 10ft Kit 08.